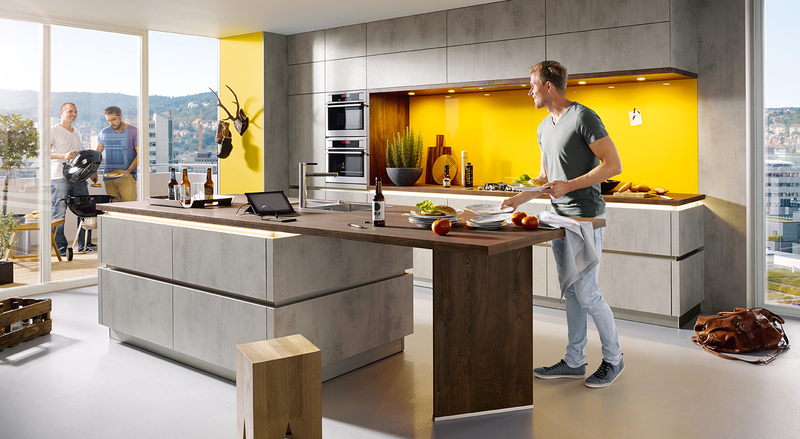 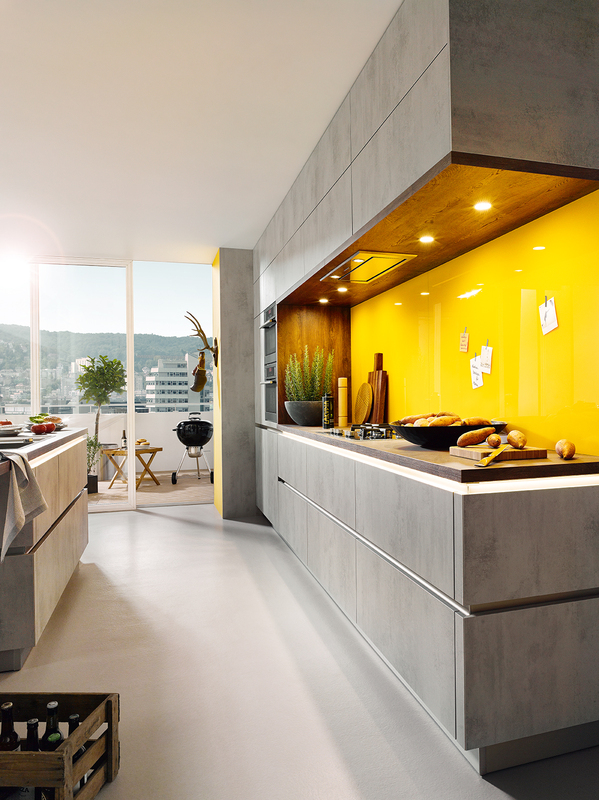 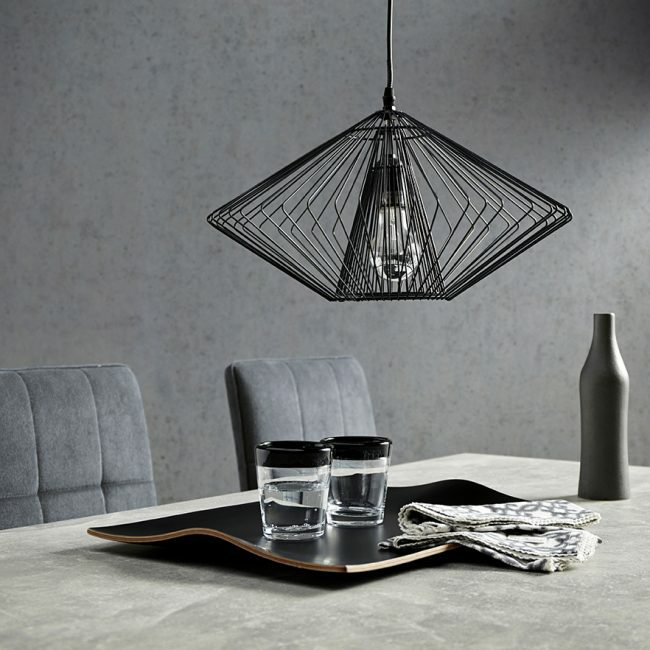 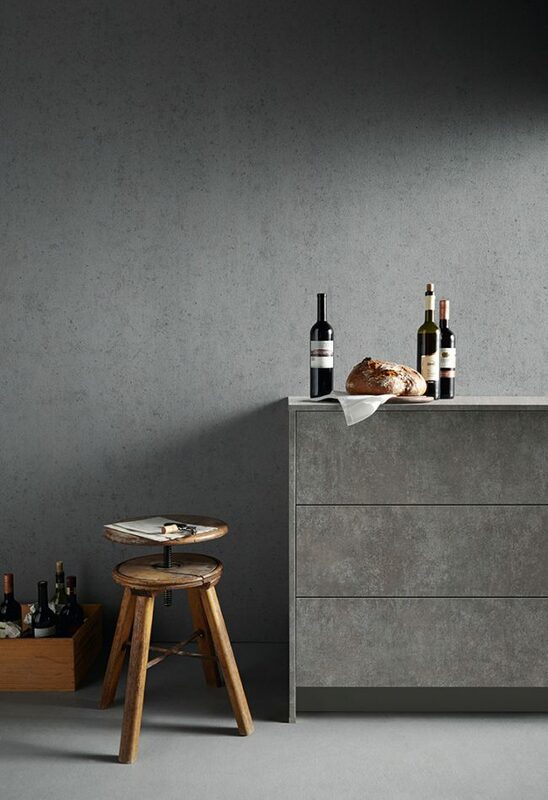 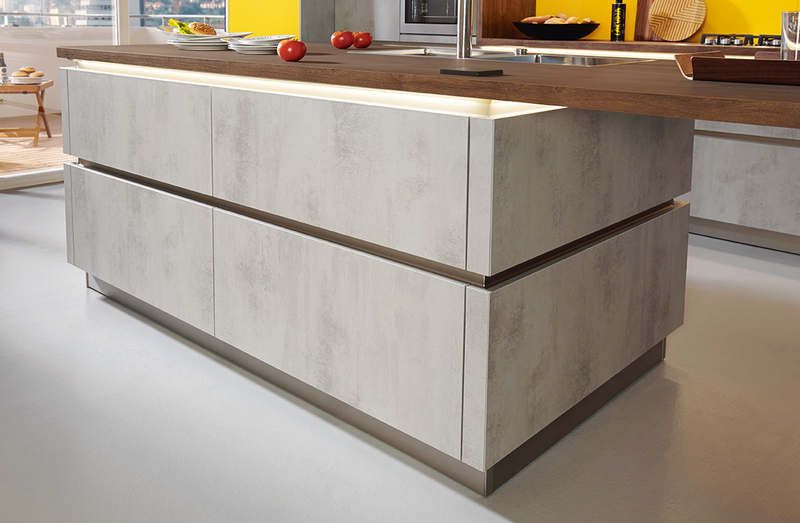 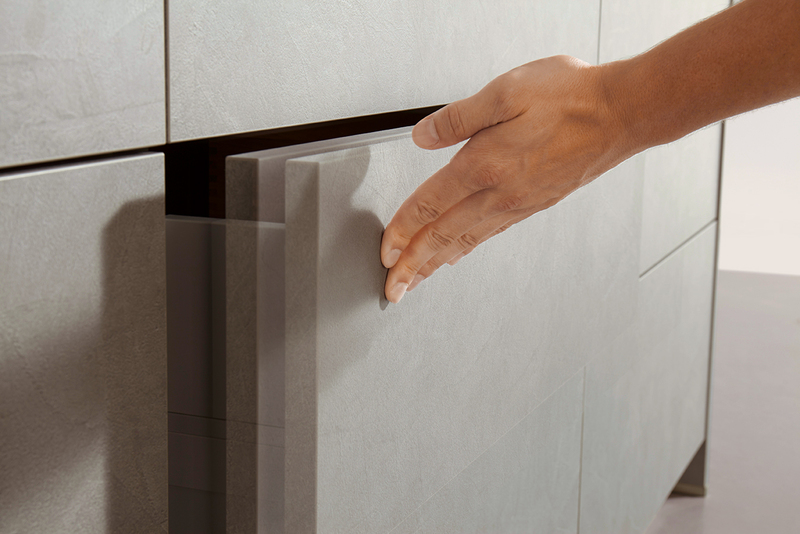 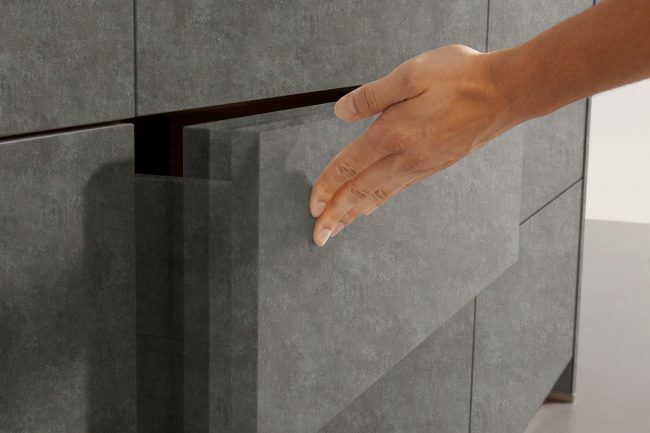 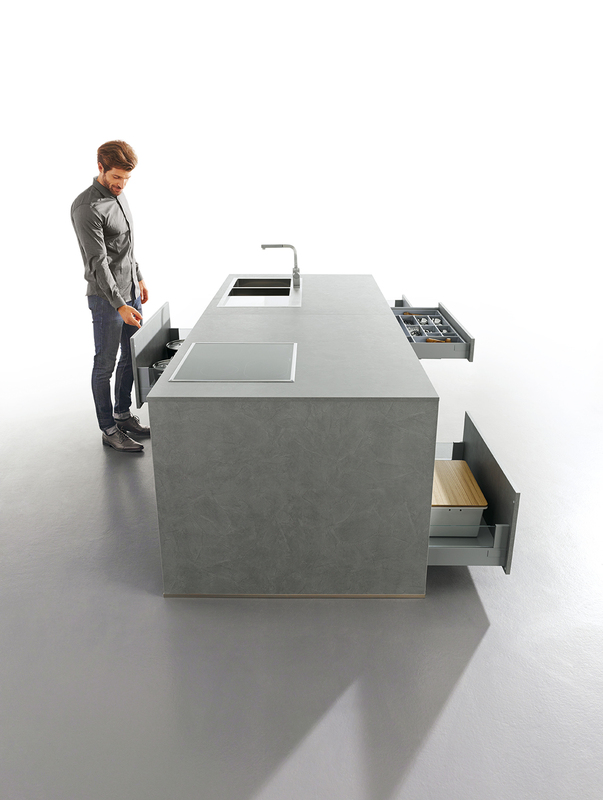 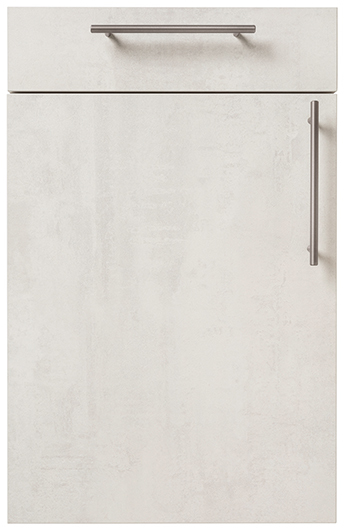 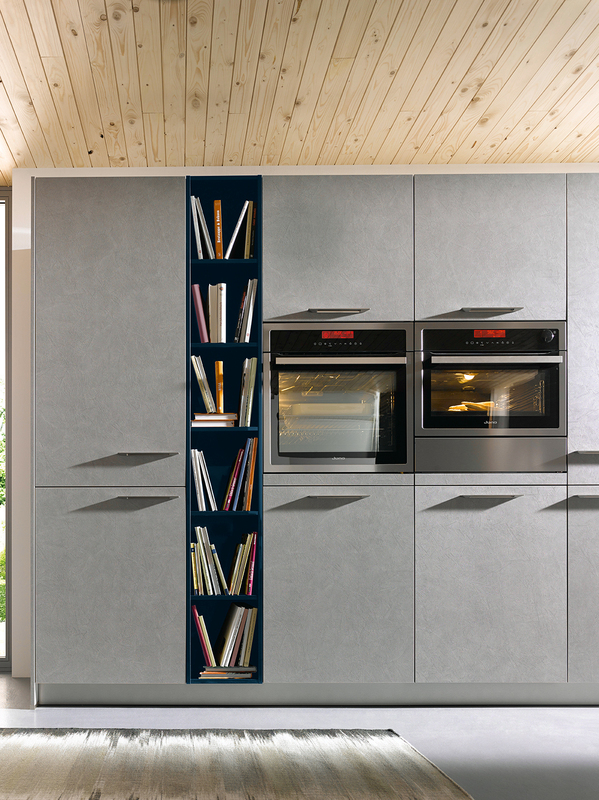 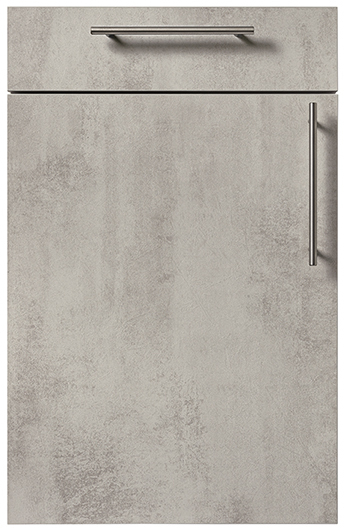 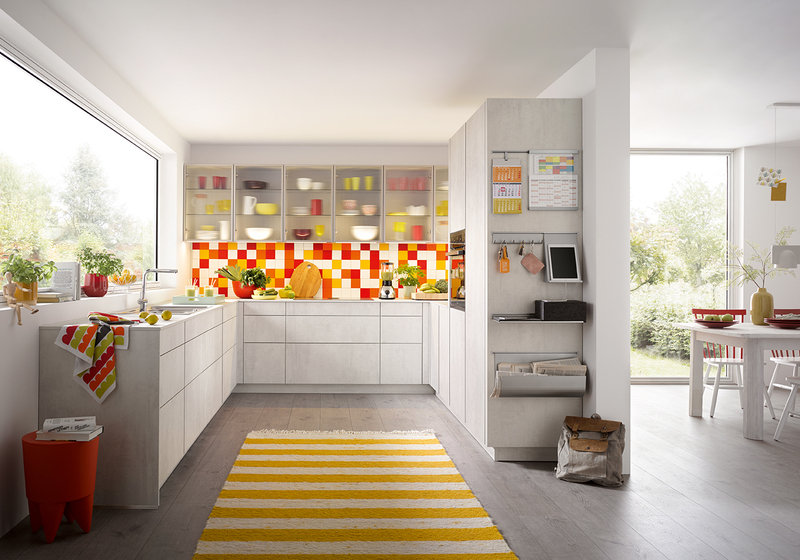 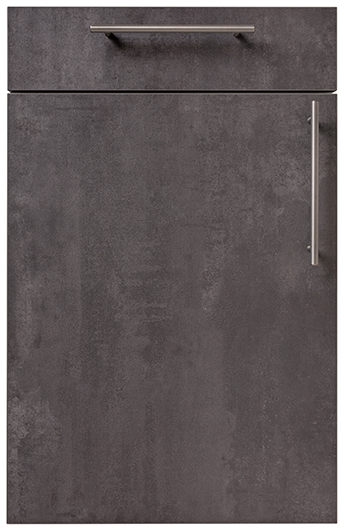 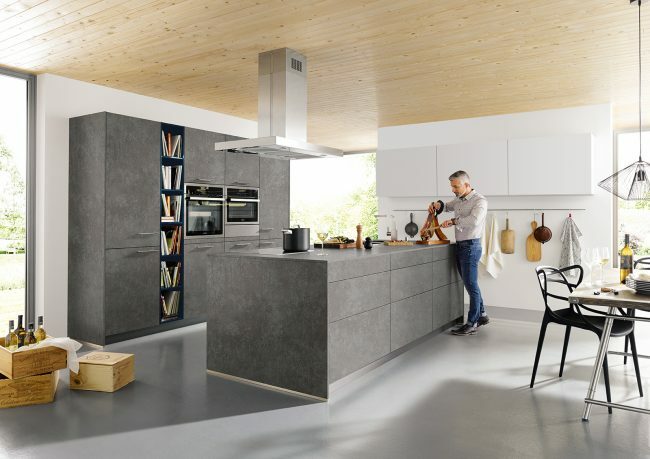 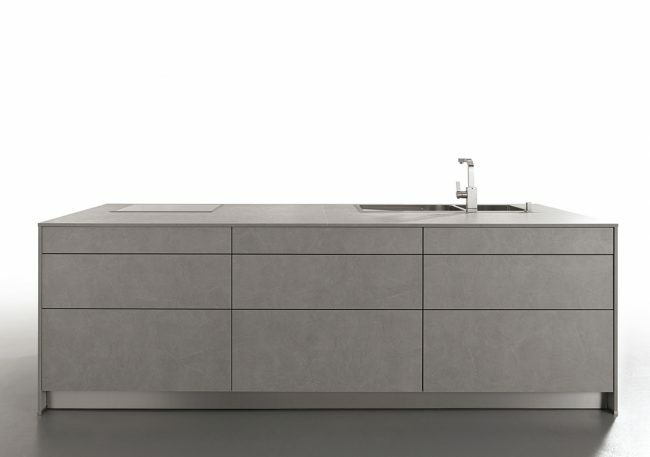 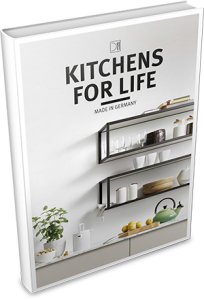 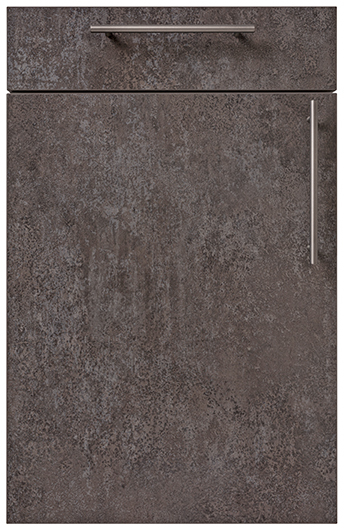 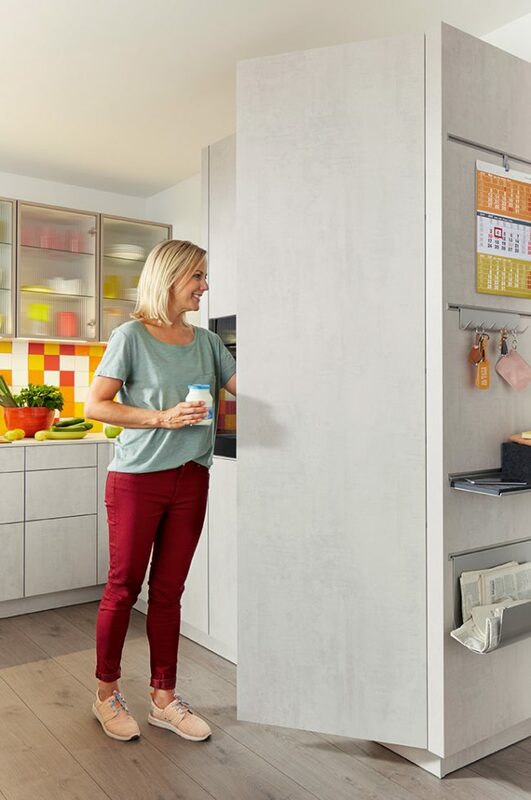 Schüller Elba Kitchen Range – This is the concrete effect range available in 4 shades. 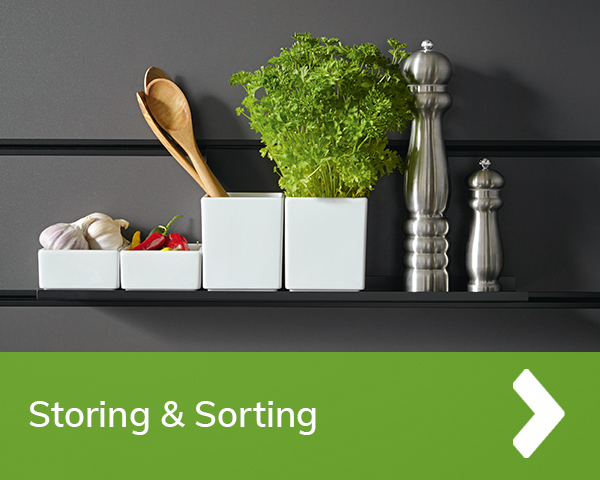 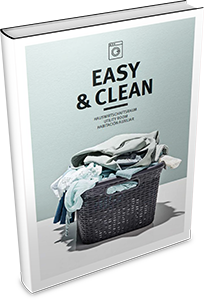 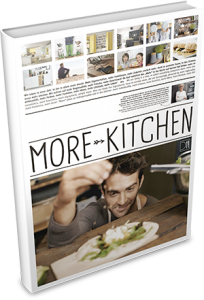 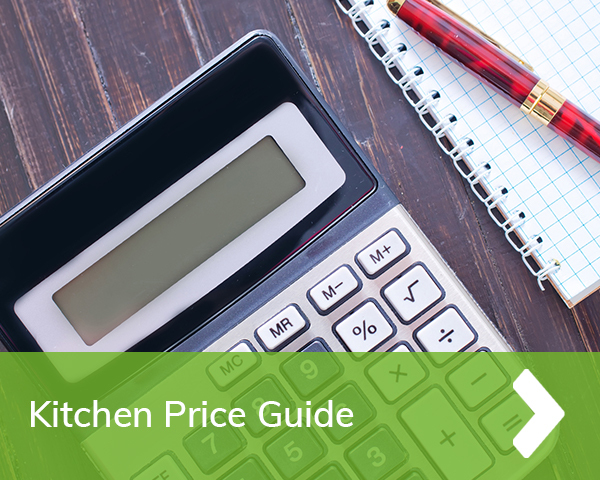 It brings a high-level kitchen at a very affordable price. 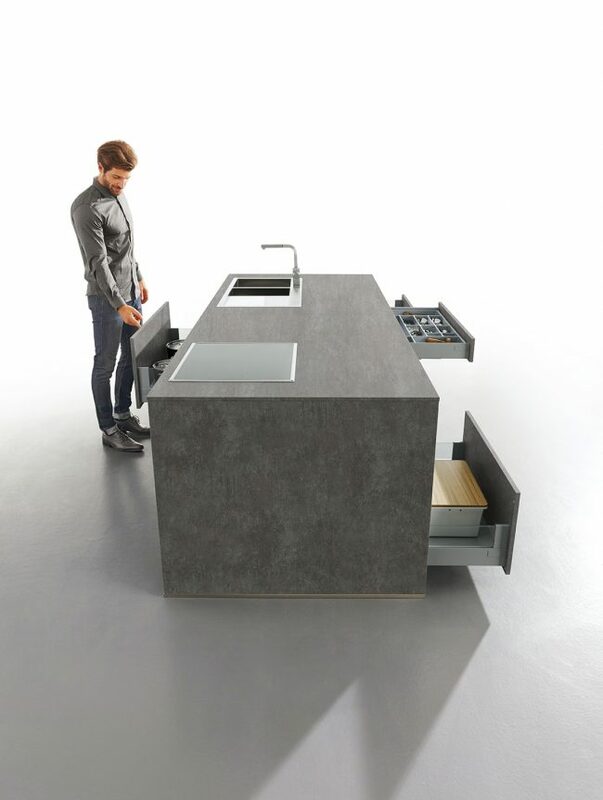 The design doesn’t stop at the front support panels, instead the handle-less lines now run right through the kitchen structure. 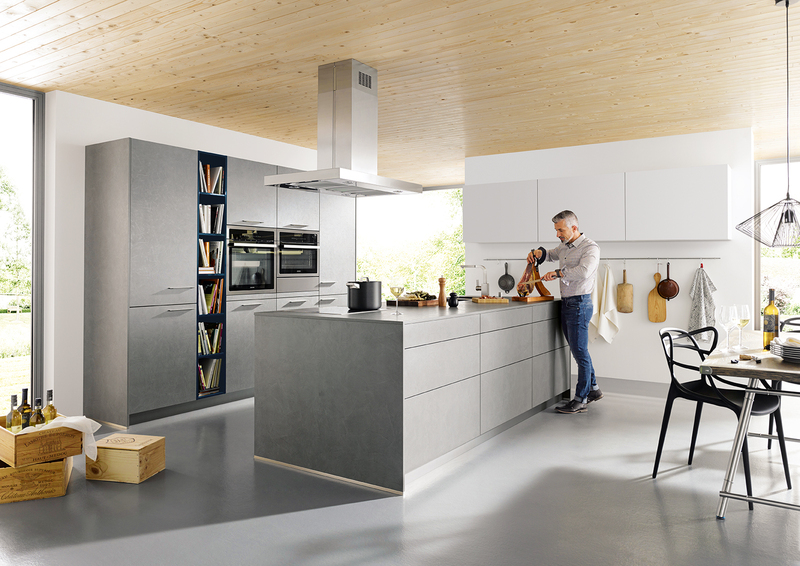 Stunning contemporary design, clean lines and minimal surfaces make this kitchen an eye catching statement. 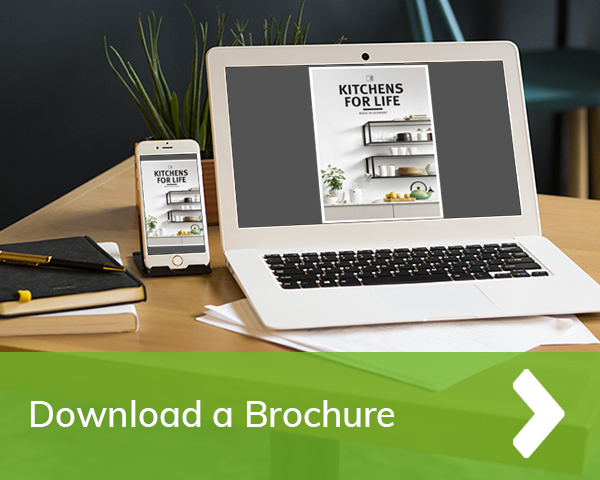 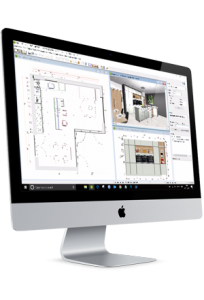 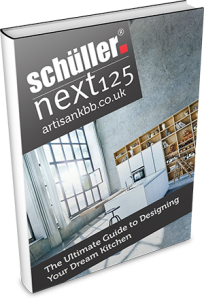 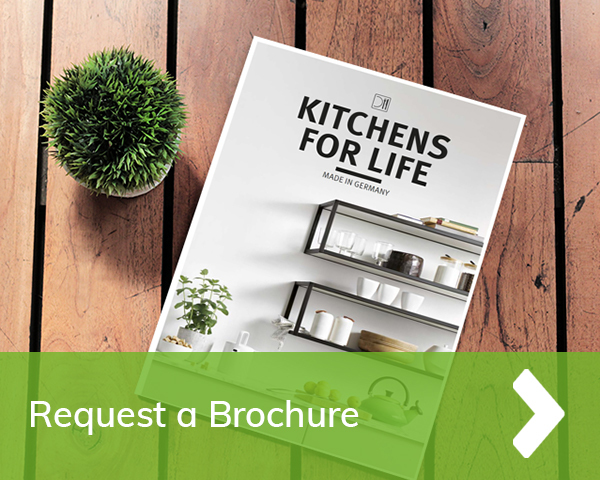 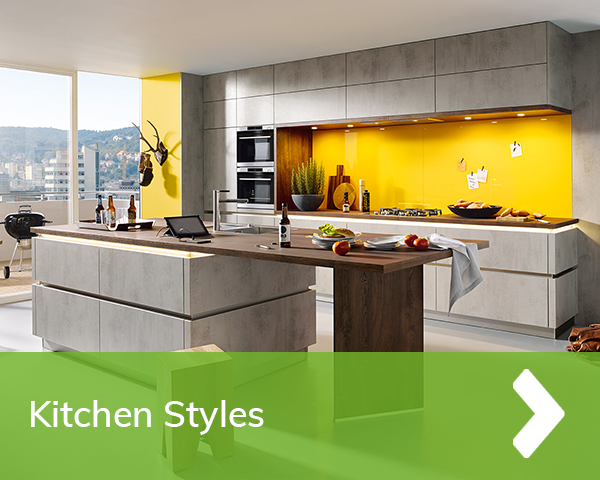 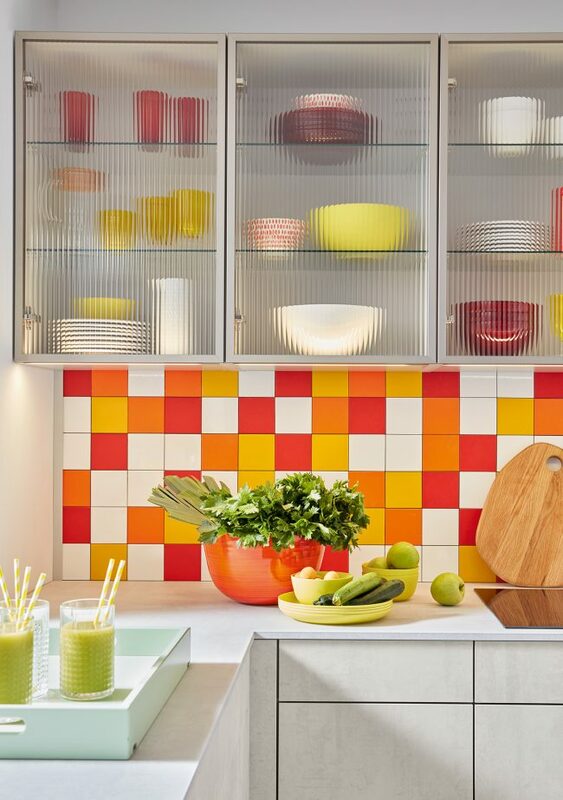 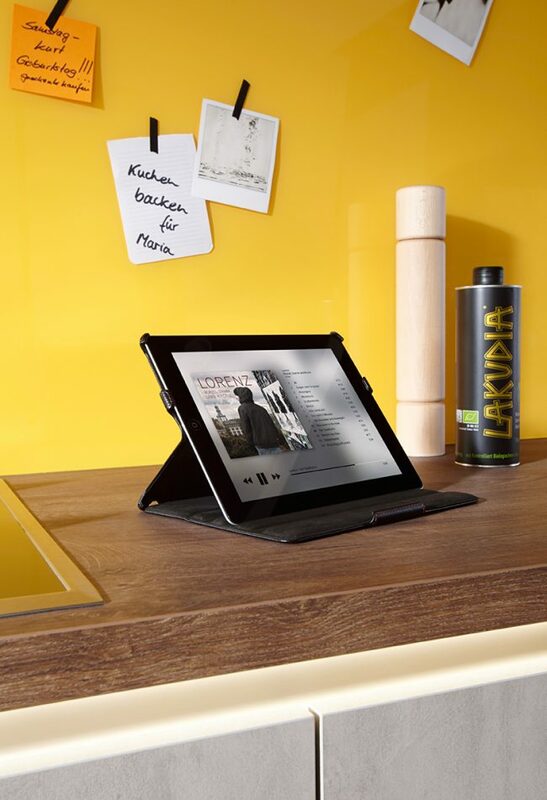 If you’re looking to make bold design statement then this is the kitchen for you.